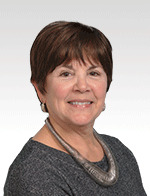 Laura Greenstein has been an educator for over 30 years serving as a teacher, department chair, and school leader in multiple grades and subjects. She combines this background with her experience as a school board member and professional development specialist to bring fresh and original ideas to educators about teaching, learning, and assessing. She consults with schools and districts and presents at workshops and conferences locally and nationally. As an adjunct professor at the University of Connecticut and the University of New Haven, she teaches Human Development and Assessment to undergraduate and graduate students and more recently, Teaching, Learning, and Assessing with Technology in the 6th year Digital Literacy program. She has a B.S. from the University of Connecticut, an M.S. from the State University of New York at Oneonta in education, a 6th year from Sacred Heart University in administration, and an Ed.D. from Johnson and Wales University in Educational Leadership. Her website, http://www.assessmentnetwork.net is a valuable source of information on issues and topics in assessment. She is the author of What Teachers Really Need to Know About Formative Assessment from ASCD and Assessing 21st Century Skills with Corwin. You can follow her on Twitter @lauragteacher and email her at laura.m.greenstein@gmail.com.